The online legal software company’s customer support excellence is once again recognized as the world’s finest. 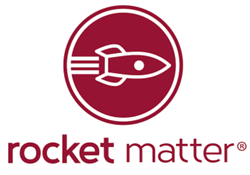 Rocket Matter, the pioneering cloud-based law practice management software company, won a Silver Stevie® Award for Customer Service Department of the Year in the 10th Annual Stevie Awards for Sales & Customer Service. This comes on the heels of last year’s Bronze Stevie® Award for customer service. The Stevie Awards are the world’s top sales, business development, contact center and customer service awards. More than 2,100 nominations from organizations of all sizes and in virtually every industry were evaluated in this year’s competition, an increase of 11% over 2015. The Stevie Award judges were especially impressed with how Rocket Matter quantifies customer satisfaction. “Not many companies actually measure customer happiness - congrats on being unique! Keep up the good work,” wrote one evaluator. Honoring organizations of all types and sizes and the people behind them, the Stevies recognize outstanding performances in the workplace worldwide. Learn more about the Stevie Awards at http://www.StevieAwards.com.